ALDE is a CFRE Participating Organization. Participating Organizations endorse the CFRE credential and act as advocates to encourage professional certification. This partnership means that ALDE stands ready to help you reach your certification or recertification goals, and also speaks for you regarding issues affecting development and the credential. As a CFRE Approved Provider, ALDE offers educational opportunities approved for CFRE Continuing Education Points, such as the ALDE IGNITE International Conference and CFRE Study Days. 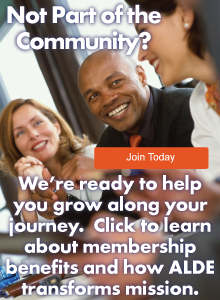 Plus, ALDE members can receive 20% off initial certification and recertification thanks to our status as a Participating Organization. The 2018 Study Days have passed, but you can still learn from all the content (and get CFRE CE points) by purchasing the recordings here. If you work in development, taking advantage of ALDE CFRE Study Days is one of the most cost-effective and schedule-friendly ways to advance yourself and your organization. Of course, if you're preparing for the CFRE Exam you'll want to attend, but the course is beneficial for much more than that. It provides an excellent introductory overview if you're new to the field. It also offers a valuable refresher program for the more experienced professional - even one who already has CFRE certification - as the profession is always changing (and you can get CE points for recertification). Participating in CFRE Study Days expands your horizons because it gives you the tools you need to succeed in your career and to effectively work toward your mission. With the global exam, this course will apply to you no matter the country in which you serve - it's not just applicable to attendees in the U.S. The content will be presented by webinar, meaning you can attend from anywhere. View the schedule for times and the session listing. CFRE Study Days is a two day course, so you'll want to attend both days, not just one or the other. ALDE is a CFRE Approved Provider and this course has been approved for 7.75 CFRE CE points. Download the tracker form. At a cost of only $170, the course is always a great value, and that's even more so the case when you consider a cost of $22 per point. This is the only true exam prep course that includes both what to expect when you take the exam and actual review of best practices drawn from the CFRE resource reading list. Other review courses only serve as a refresher, yet they charge more than twice or thrice this rate, and they are only centered around discussion - while ALDE offers citations, and answers based on literature, research, or best practice. Buy the recordings. Please share CFRE Study Days with friends and colleagues. The event is open to all development professionals, not just ALDE members, so please make sure all who could benefit know about this opportunity. "The ALDE CFRE Study Days Were Invaluable"
"The ALDE CFRE Study Days were invaluable in my passing the CFRE Exam and receiving the CFRE designation. Having been in the nonprofit field for 25 years, I figured I knew it all ... hardly! Or, at least I had forgotten key points along the way. The Study Days were well organized, and having the presentation materials available for pretest review was helpful, especially with the Ethics module. You can't beat the review format: webinar - not having to trudge to a remote workshop area. Last, the cost for the review days was very affordable and better than any other option available. Even if you are a few years from eligibility to take the test, the ALDE CFRE Study Days are a great immersion into all aspects of advancement work. They will be well worth the introduction for new staffers and a great review for seasoned old-timers like myself." "Announcing updates to the CFRE certification programme in 2016"
Alexandria, VA – 14 October 2015 – CFRE International is pleased to announce exciting updates coming to the CFRE® certification programme, effective January 2016. The updates outlined below are evolutionary rather than revolutionary and reflect CFRE International’s commitment to ensuring that CFRE certification reflects both current best practices in ethical fundraising and our maturing global profession. 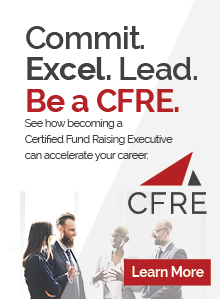 All fundraising professionals currently eligible for CFRE certification will remain eligible and no new requirements for recertification as a CFRE have been added. Updates to the CFRE Test Content Outline incorporate insights from CFRE International’s most recent International Job Analysis research on philanthropic fundraising practice. Updates to application requirements for initial certification and recertification reflect the maturation of fundraising as a global profession. The CFRE exam Test Content Outline will be updated to reflect the International Job Analysis research findings, finalized in 2015. The Job Analysis did not find any major shifts in the field of fundraising. However, the percentage of exam questions per domain will shift slightly to reflect Job Analysis results. The fundraising knowledge domain with the largest percentage shift was Securing the Gift (formerly 19% of exam questions; now 23%). The domain with the smallest percentage shift was Volunteer Involvement (formerly 8% of exam questions; remains at 8%). See below for a complete list of the CFRE knowledge domains and the percentage of exam questions that will be dedicated to each domain effective January 2016. Marnie Hill, CFRE, Vice Chair of CFRE International and Chair of the Job Analysis Taskforce shares that “while our Job Analysis research did not find major shifts in the field of fundraising, the percentage of exam questions making up the six fundraising knowledge domains covered on the exam will shift slightly. Given these minor adjustments, candidates for the CFRE who have been using the prior Test Content Outline to prepare should have no added difficulty with the exam following the revised Test Content Outline”. In order to keep resources up to date, all resources published prior to 2005 will be removed from the Resource Reading List. The CFRE exam tests the baseline knowledge of best practices in ethical fundraising that candidates should have mastered by the time they have achieved 5 years of employment as a fundraising professional. The exam will continue to test knowledge at the 5-year level of professional experience. Applicants will be advised that application after the minimum 3 years of employment as a fundraising professional represents an accelerated pathway to the CFRE credential. Such applicants should have a record of significant study in fundraising (as indicated by an academic degree in the field or intensive certificate program) and/or significant transferrable experience should they choose to apply after the minimum 3 years of employment. Recertification requirements in this category do not change. 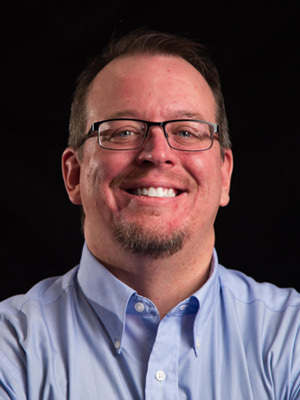 Schumacher stresses that “the accelerated track in no way diminishes the credential. The CFRE exam will still test knowledge of best practices in ethical fundraising at the five-year level, and the education and performance requirements of the application remain the same”. To acknowledge the disparity in value among worldwide currencies and the challenge of raising funds in developing economies, two changes will be made to the “Actual Funds Raised” component. Applicants working in non-members countries of OECD (Organisation for Economic Co-operation and Development) may request an economic equivalency adjustment of an additional 1 point per the equivalent of USD 25,000 raised. The above updates apply to both initial certification and recertification requirements. To elevate recognition of the educational value of volunteer service, up to 10 points of service learning through volunteer experiences may be counted under Education. This update applies to both initial certification and recertification requirements. With the inclusion of service learning in the Education category as noted above, Volunteer Service will cease to be listed as a separate application requirement. “As a global credential, CFRE International strives to ensure that the pathway to CFRE certification is equitable for all fundraisers, no matter where they practice in the world. Fundraising professionals do not have access to equally extensive networks for volunteer service worldwide. By recognizing the educational value of volunteer service through the award of points in the Education section of the application, rather than in a separate Volunteer Services section, CFRE International affirms our commitment to the value of volunteer service by fundraising professionals while at the same time correcting a significant regional bias within the CFRE application requirements” said Leo Orland, FFIA, CFRE, Chair of the CFRE International Exam Committee. CFRE International has added new resources to our website to assist CFRE certificants and applicants in understanding the updates and what they will mean for them. If you are a fundraiser with an application in-process for initial certification or a CFRE due for recertification soon, you will receive an e-mail from the CFRE International certification team that outlines the 1 January transition process for open applications for initial certification or recertification. If you submit your application on or before 31 December 2015, this year’s application requirements will still apply. If you submit your application on or after 1 January 2016, the 2016 updates outlined above will apply. A 2016 CFRE Updates FAQ has been added to the Resources section of the CFRE International website to help answer any questions you may have.